"Strong-as-Steel" Hybrid Frame weighing only 39 lbs. The Next Big Thing in outdoor canopies has finally arrived! Undercover's new and improved UC-3R10CRS Commercial Grade Canopy with Curtain Rail Suspension (CRS) is re-defining canopy strength and mobility. With a Chan-X(tm) strong-as-steel hybrid frame structure and Radial Inner-Truss(tm) construction, the UC-310CRS canopy by Undercover is light yet durable for any occasion. 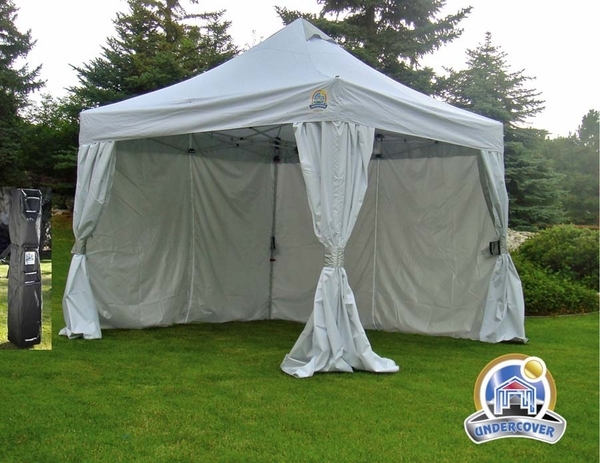 Add in the 99% UV blocking polyester cover, COOL silver heat-reflecting undercoating, and pinch proof release levers and you've got the perfect canopy package. * Please Note: This canopy must be securely anchored at all times and is not intended for a permanent setup. Water can pocket which would cause frame damage if left unattended for long periods of time. Always takedown canopy before severe weather. This tent is not waterproof, only water resistant. The only waterproof canopies we carry can be found here . What is the weight of this unit? The published weight is 45lbs. for the UnderCover 10x10 R-3. What are the 3 heights this canopy adjusts to? The 1st adjustment is 6 feet 2 inches and then about every five inches until almost 7.5 feet is reached. The peak height is about 11 feet. What are the measurements of the valence? The valance area is 13" tall and 10' feet wide. Do you remove top canopy before taking down and placing in case? It depends on what you prefer. You can either leave the top on and collapse the canopy or take the Top off. The frame will usually fit better in a bag with the top removed. Are the wall curtains split in the center? Yes, the R3 features center zippers in each of the 4 walls. Does this tent have an extra support like an "x" at the roof? This item has a strong-as-steel hybrid frame structure and Radial Inner-Truss(tm) construction. View the actual frame in the manual located here. Is this easy to assemble with one person? This can be set up by one person, but it is easier with two people. If one person is setting up, each side has to be pulled out one by one. Does the R3 have sippers in middle of all four walls? Thank you for the question. Yes, the R3 features center zippers in each of the 4 walls. What's the height clearance on the sides? Thank you. The height clearance is about 7' on the sides. How tall and long is the closed, bagged canopy? 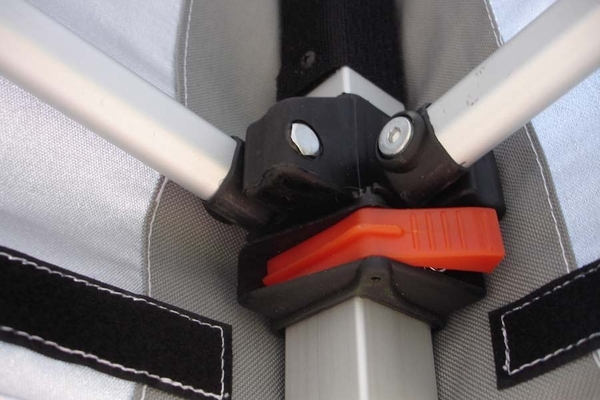 Also, can the sidewalls be folded up with the canopy vs. removed and installed each time? Lastly, does it have full trusses inside, or only perimeter trusses can it be set up by one person? For storage on the UnderCover 10x10 R-3 Commercial Vending Frame Instant Canopy with CRS Enclosure, the top can stay on the frame once attached. It will fit into the carry bag just great. The walls have to be removed from the frame for storage. There is a wall pocket on the carry bag that the walls fold up and can be stored in. The frame is not fully open, there will be cross bars that connect the interior and exterior of the frame. This frame would basically have the same set up as the EZ Up frame. Hi, the closed, bagged canopy is 63 inches including the wheels. You have to take the sidewalls off, not enough room to close up the canopy bag. I keep mine is a separate bag. There are trusses inside, but I don't know exactly what full trusses mean. I set up the canopy and take it down myself all the time. I do suggest you go to their site and watch the video. It makes it really simply. Hope this helps. It is a limited 2 year manufactures warranty. Does this have a carrying bag? This will arrive with a wheel bag. Yes, it comes in a wheeled bag. Yes, and the carrying bag has wheels too. Do the walls of this UnderCover 10x10 R-3 commercial canopy zip together at the corners? Yes, they do zipper together at the edges. Is this UnderCover 10x10 R-3 vending canopy waterproof or would we need to treat it it to waterproof it? It is water resistant but not waterproof. You may treat it to make it waterproof but it will void the fire retardant rating. How much does this UnderCover 10x10 R-3 commercial canopy weigh? Does this tent package include the 4 side walls? Yes, the UnderCover 10x10 R-3 Aluminum Frame Instant Canopy with CRS Enclosure - UC-3R10CRS comes with the special patented CRS wall system. I've only used it once so far this year, but I like it. ConsThe only negative for me is because I'm a short person. I have to put the walls on with the canopy at its lowest setting, and the walls drag the ground and get all dirty. ProsGoes up and down very easy, as well as putting the sides on . We wanted to upgrade and were shy to pay more. Glad we did! The tent is a deff upgrade. If you're used to light, flimsy tents than this is not the tent for you. The tent is extremely sturdy. The feet are wider than a cheap tent which helps ground the tent during winds. The bag came with wheels and room for everything!! If you want to upgrade or just have a beautiful tent then buy this! You won't be sorry!! I am very happy with my new UC 10 x 10 R-3 commercial canopy. I have purchased 3 other canopy's in the seven years I have been doing street markets. This one is by far the best. I have had no problems with the click locks or extensions. 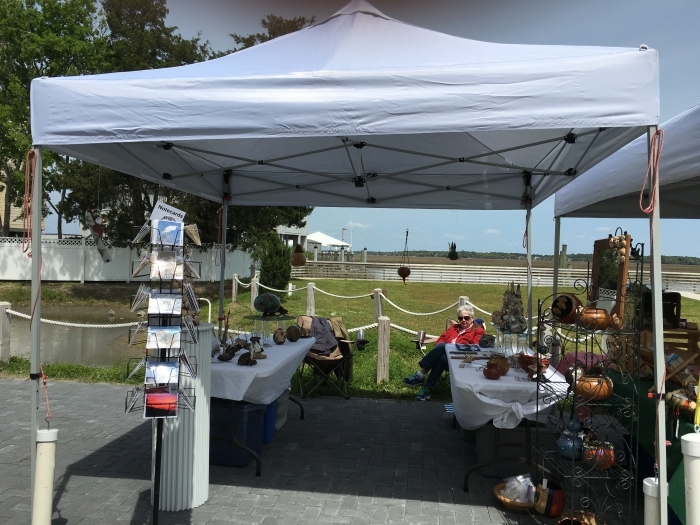 During a very windy day, when my neighbors were blowing around and losing product, my canopy stood firm as a rock. 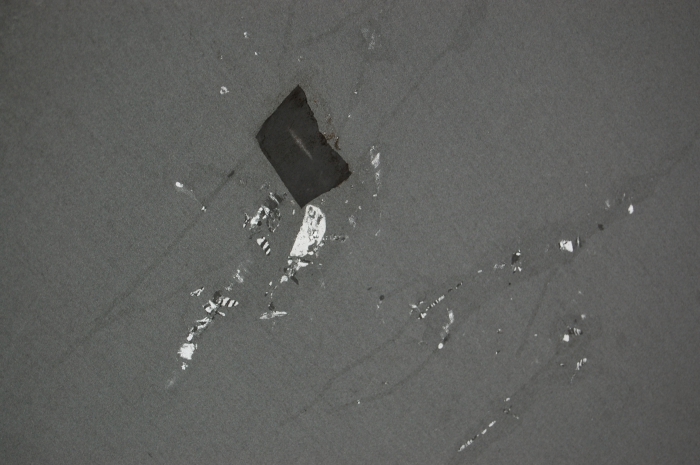 The Strong as Steel frame really is strong as steel, and lighter. 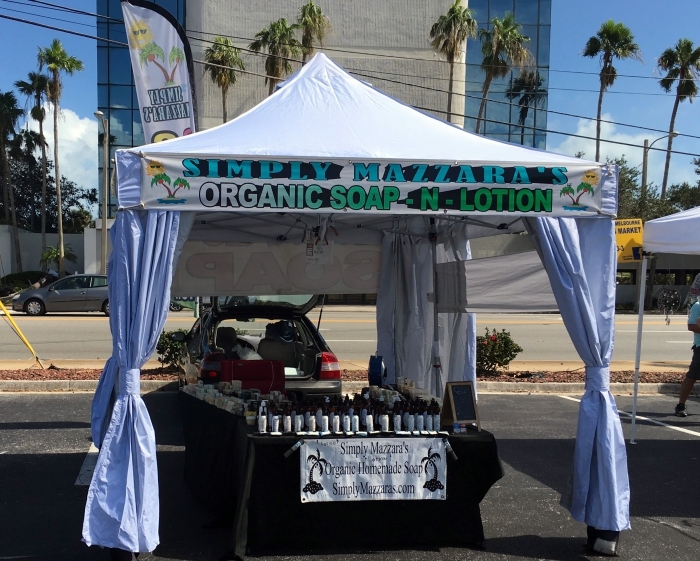 We take our merchandise to fairs and festivals. 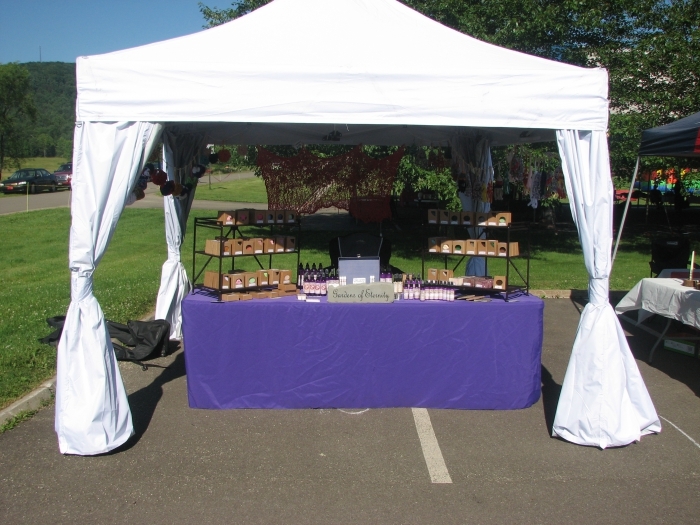 This canopy is easy to set up, works well to display our wares and closes securely overnight. As long as it is well staked down, it works great even in strong winds and rain. I really like all the small amenities, like the sidewalls that will slide open and Velcro back in a number of configurations, the carry bag with wheels and all the pockets for sidewalls, stakes, etc. It's very much worth the price! 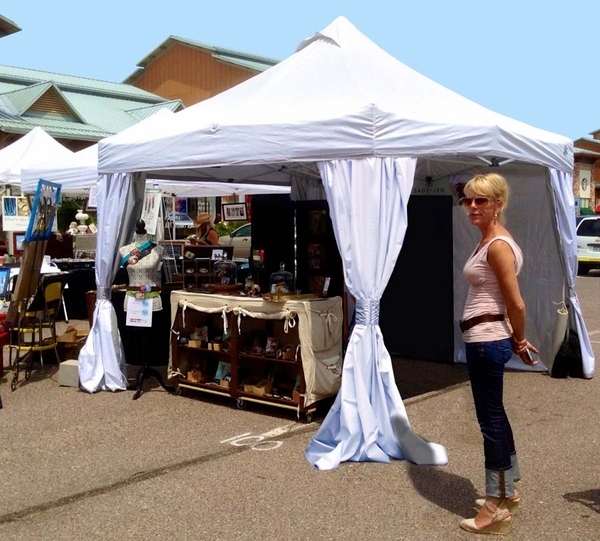 This tent looks great at art shows. 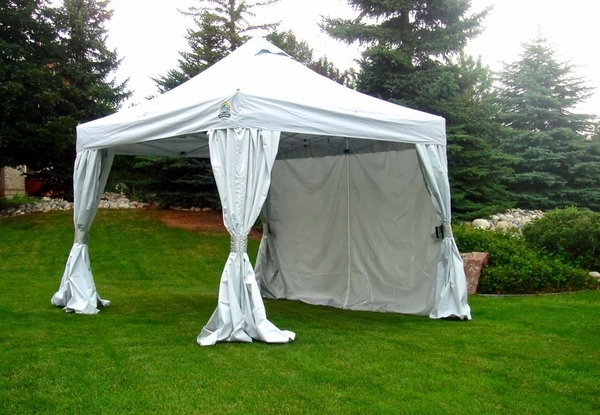 The curtained sides are easy to open and close which is a plus in inclement weather! This is a awesome Canopy. I dealed with other brands in the past but a friend recomended your company and I'm glad he did it. I should bought it in the first place. We needed this product rather quickly. Customer Service was extremely helpful and we not only had the product on time, but a little early! Shipped quickly with no delivery problems! The canopy exceeded our expectations in quality and style!!! Would definitely recommend this product! Received delivery as expected. Product is exactly what I thought I purchased at a great price. ProsReally like the curtain system as a sun block yet to utilized to protect my product from the rain. ConsThe reason we bought this tent is to replace the undercover pro uc-2 that had a complete sun rot issue to the canopy only after 1 year. I'm going to address that issue soon because i'll be utilizing two tents at the many venues i have planned. I think it's under warranty for two years. The canopy arrived on time with no issues. It was easy to put up and nice looking. The legs seem so much stronger than the cheap canopies we have had in the past. I'm sure this one will last us a good long time and keep our repurposed furniture protected. would have given 5 stars but for some reason our frame was bent in the back so we had a hard time getting it up' It came down ez so that was nice, the side panels are ez to put up as well, just was bummed that there is a bend in the frame at the left back side which makes it a bit difficult when putting it up. 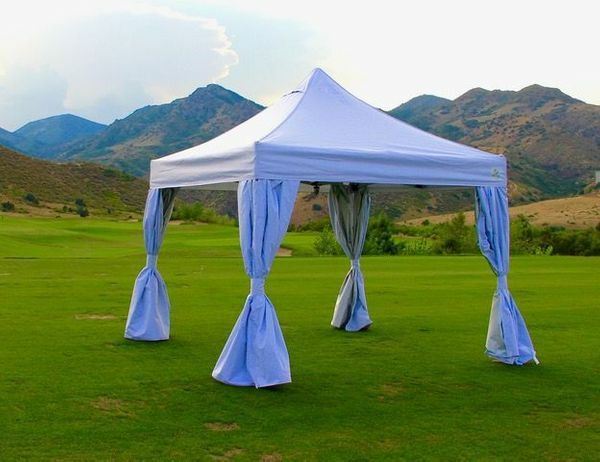 The canopy seems sturdy and well-made, and isn't too hard for 2 people to put up. ProsLooks nice, like the way the walls attach (they clip to a wire at top & zipper together Very roomy comes with a WHEELED bag, which is good because this thing is HEAVY! Couldn't have purchased a more perfect cover for outside event's, I'm disabled (Remitting MS) and need to be able to assemble the canopy and this canopy is the ticket for me as I am able to put this up myself which is miraculous considering I have no balance and have to use a walker. So pleased with this purchase and you will be too!. Shipping was fast as well. Definitely 5 stars all the way around. ProsPerfect for my needs and easy to assemble. Does all it says. Was very easy to put up. Looks great next to all others. Has extras not asked for like rings to hold signs. Pinch release handle made adjustments to height a "one, two, three". Take down is also easy and fits back in carry back nicely, which was a surprise vs other tents we have had. So far - life is good. Easy to assemble, lots of space, cooler inside than outside, looks nice and is made well. ConsKind of heavy for a 70 year old to carry, but I manage! We had an old heavy tent and this tent has been wonderful! 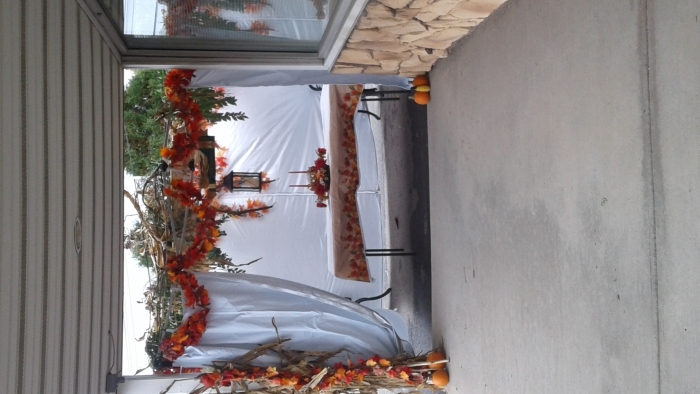 We set it up weekly for a local market and it holds up to rain and wind. CSR sides are the best!! ProsEasy set up, GREAT sides! This tent is great! It arrived quicker than scheduled, two women can easily put it up. The CRS sides are what sold me. They are easily put on and zip together for protection. Just be sure to place them on the tent before you put out your wares underneath! I would recommend this to everyone. ProsGreat that you have you side panels on a wire. If you put them on your tent when setting up, you have quick protection from a rain shower or the sun as it moves around you area. have not yet assembled for event but everything looks great looking forward to rolling my tent into the next show and setting up with ease. I will be the envy of the other vendors.. This is a fantastic canopy, durable, and well built. 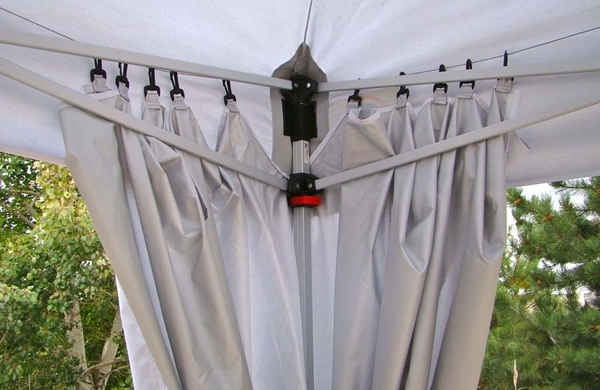 The curtains are extremely easy to use and the entire canopy goes up with only one person. I would suggest with any canopy, even this one, spray it for extra security against rain. I haven't taken it anywhere yet, but I did open it up and put the sidewalls on. It went up easy and I'm very pleased so far.